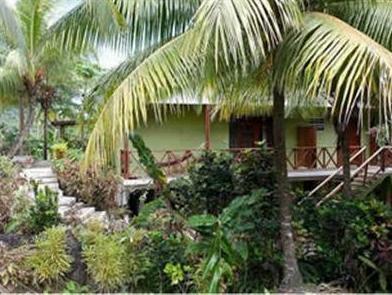 ﻿ Best Price on Hibiscus Valley Inn in Marigot + Reviews! 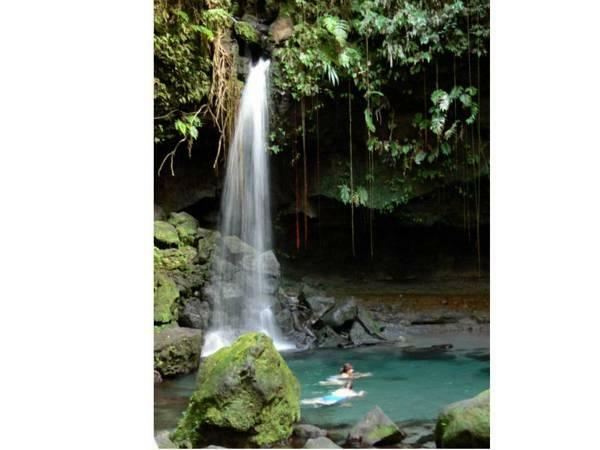 Located in a quiet area next to the River Pagua, Hibiscus Valley Inn is close to the rainforest and also between the village of Marigot and Concord. It offers airport and ferry shuttle for a fee and a natural river pool. The nature bungalows have Dominican, country-style and feature a terrace with garden views, ceiling fans and safety deposit box. The bathrooms are private and have shower. Guests at Hibiscus Valley Inn can arrange guided adventurous hikes to the Boiling Lake and waterfalls. Whale watching, snorkeling and scuba diving can be organized too. We are also close to Waitukubuli trail. The two open-air restaurants are specialized in traditional, local food with an international touch as well as organic farmed fruits and vegetables. Fresh roasted local coffee and lemon grass tea are offered and packed lunches are available for tours. The Hibiscus Valley Inn is within a 10-minute drive from Marigot Town Center and walking distance from shops in Concord. A sequence of beautiful beaches starts 5 minutes' drive away. Melville Hall Airport is a 12-minute drive. Upon check-in photo identification and credit card are required. All special requests are subject to availability upon check-in. Special requests cannot be guaranteed and may incur additional charges. Please note that guests have the option to pay through PayPal, contact the hotel for further information.